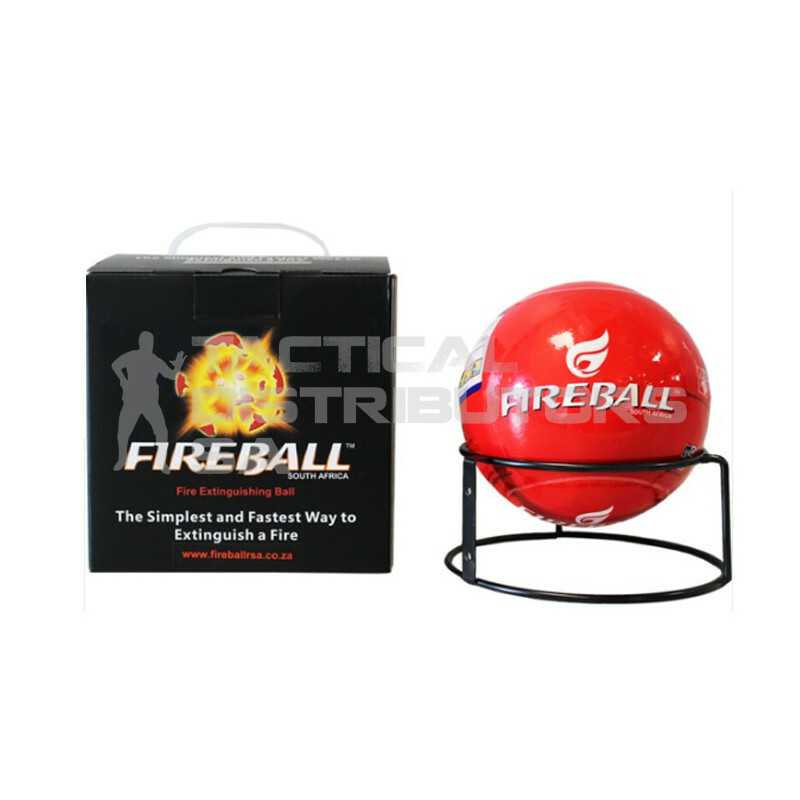 Description Fireball SA is South Africa's first and only self-activating, un-attended mobile fire extinguishing ball. An affordable solution for virtually any fire situation or scenario. Features It ensures safety and protects you, your property and equipment against deadly and damaging fires before a fire becomes dangerous or uncontrollable. Addtional Information The Fireball will self activate (it will burst) within 3 to 7 seconds when it comes into direct contact with open flames above 65 ºC (not heat it must be an open flame). Further Information The Fireball is filled with dry chemical powder called mono-ammonium phosphate a non-conductive material that will not damage electrical equipment. Further Information 2 A pyrotechnic mechanism in the middle of the ball is activated by fuse wires extending from inside to the outside of the ball. Dimensions 14cm in Diameter. Comes in a 18cm x 18cm x 18cm box including the Fireball and mounting bracket. Disclaimer Fireball SA is a secondary fire safety device perfect for use in vehicles, workshops, offices, houses, and factories. This product does not replace a primary fire extinguisher.